Dr. Evgueni Faidysz, Ph.D, President of the Russian Transport Foundation, member of the Board of EUROTAS is also an active member of the Russian Academy of Natural Sciences, the International Medical Science Network and other international academies and organisations. After the Chernonbyl disaster, he headed the state program for the rehabilitation of the liquidates of the radioactive pollution. Currently working on research in altered states of consciousness, he attempts to understand ancient esoteric concepts on a modern scientific level. For a long time has investigated the mystical and magical practices of Siberian and Celtic Shamanism, paying special attention to the nature of vital life energy. He is the author of more than 100 published works – among them 9 patents and 8 books. It is the morality of consumerism which sets modern Western society apart from ancient civilisations. Worse, nowadays we treat nature as an object to be used. The catastrophe is a reaction of the planet’s biosphere-noosphere to the aggressive intrusion of the consumer society. One of the necessary conditions for righting this situation is returning to the wisdom of our ancestors, who treated nature as a living being with its own reasoning. This involves two vital courses of actions. The first is the study of the influence of information and the ecology of the informational environment on the Earth’s biosphere. The second is the development of our concept of our biosphere as a living organism with its own complex self-regulating informational mechanisms. We also need to know how the informational levels of the earth interact with human consciousness. Information plays a leading role in modern civilisation. Only now are we beginning to realise the huge significance of informational connections and interactions in our organism and environment. The evidence for the informational environment, formed by billions of informational connections of both human society and natural ecological systems, is overwhelming. It is important to stress that these connections form a new systemic whole, which is not a sum of its elements. Indian and Tibetan Tantric traditions spoke of this ages ago. The human psyche, spirit and mind are the most important ingredients of the informational environment. Modern scientific research on self-regulation processes in non-linear systems has changed our attitude to the nature of physical reality. Weak informational connections and interactions have been proved to play a defining role in the development and proper functioning of both single living organisms and the whole biosphere. These connections, not the circulation of huge masses and energies, are really responsible for the adaptive abilities of the planet’s biosphere. Computer viruses show the importance of informational objects in our material life. They are totally informational “beings” with no physical entity at all; yet they can seriously damage even the hardware of a computer. Thus, from the point of view of modern science, the survival and proper functioning of our planet are defined first of all by the hierarchy of complex informational connections. In this respect the Earth’s biosphere resembles a gigantic supercomputer, whose successful functioning influences the balance and the self-regeneration of ecological systems everywhere on our planet. Its non-proper work and increasing chaos lead to destructive processes in the biosphere and the growth of entropy1. Various myths about spirits of nature and subtle shamanic worlds might be echoes of this. Victor Vernadski, who created the concept of noosphere (the integrated informational environment of our planet), Pierre Teilhard de Chardin, Carl Jung, and Arthur Koestler were among the first to explore this concept in Europe. From this point of view, the study of different informational channels, which can be used to influence the mechanisms of the biosphere’s self-organisation and decrease chaos, has a great, applied meaning. One such channel, that of so-called “Places of Power”, has been known and used for many thousands of years: Ancient temples and sacred objects were usually situated there, civilisations and religions were born there. Modern research proves that such places are usually located in areas with particular geologic anomalies and unusual geophysical fields. The majority of human cultures, from shamanic traditions to majestic ancient civilisations, have connected such places with an opportunity to contact higher levels of our universe and achieve with their help harmony between people and nature. According to such ideas, cult objects built in these places played a leading role in the well-being of a given society. The objects are stone circles, labyrinths, stupas, pagodas, mantra wheels, chapels and so on. In ancient times places of power were treated as the Earth’s acupuncture points, to regulate processes of planetary homeostasis. This makes sense also from a modern point of view. The research on non-equilibrium, open systems (of which the Earth’s biosphere is a clear example) proves that they have certain spheres which are extremely sensitive to outside influences and are able to affect the functioning of the whole system. These points seemed to be discovered in ancient times as places of power. The importance of their conscious use by all of us today for biosphere regeneration and the fight against increasing chaos goes without saying. It is worth mentioning that the perception of our planet as an organism and the elaboration of informational channels of interaction with it played an important role in ancient civilisations. If we look today at many magic and religious rituals practised in ancient times, we can clearly see that they were first of all informational influences on the planet’s biosphere and the unconscious of ancient peoples. Examples are sacrifices and shamanic ceremonies. Our ancestors believed such rituals were absolutely necessary for them to survive and maintain the environment. Different forms of ancient magic were supposed to keep harmonious relations between the world of matter and the noosphere. This task was carried out not only through magic and religious rituals but also with the help of a variety of tools and gadgets. 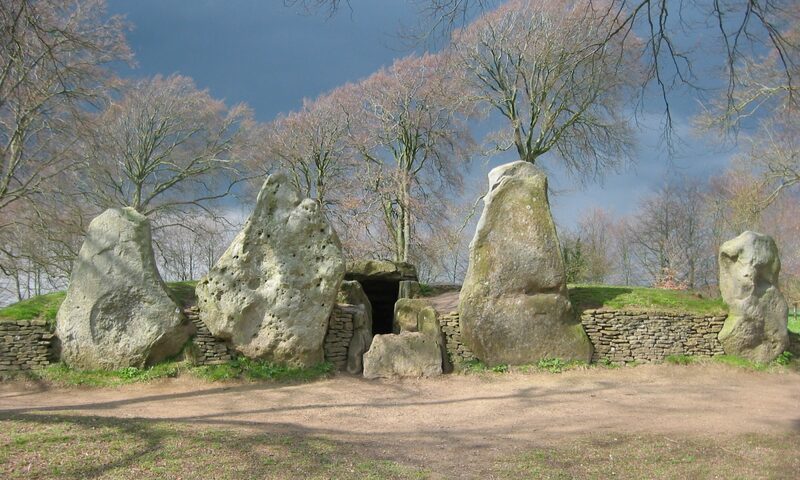 Some of them, mostly megalithic constructions, still survive today: Celtic stone circles and standing stones, labyrinths, pyramids and others. Unfortunately, many ancient traditions were lost, yet there is no doubt that these constructions are extremely important for the maintenance of harmony on the planet and in this critical period this lost knowledge should be restored. This goal needs the efforts of many people from different countries. That is why several years ago an international project was established. Its participants, some of them scientists, come from Russia, Latvia, Kazakhstan, Poland, USA, and Scotland. Many expeditions to different parts of our planet have been organised within the framework of this project. Labyrinths were one of the most common megalithic constructions of ancient times which seemed to play an ecological role. Plenty of them have survived, the best known are found in Scandinavia, Solovki (isolated islands in the White Sea which were the site of a famous monastery, later notorious as the site of the first Gulag of Stalin’s era), Dagestan, North and South America. Only now are we beginning to understand how these ancient constructions work. According to modern non-linear physics and chaos theory, some geometric forms play a significant role in our world and are elements of the universal language. They are abundant in nature. Examples are snowflakes and the patterns on a frozen window, various shell forms, flowers, and plants. In spite of the unbelievable variety of our world, the basic set of elements of these natural patterns is fairly small and is present at all levels of organisation of our universe, from the geometric structures of corpuscles to the shape of galaxies. These are spirals, stars, crosses, swastikas and so on2. The same forms were known to ancient mystic traditions, as shown in the works of Carl Jung3. Examples are mandalas (Buddhist tradition) and yantras (Hindu Tantric tradition), magic signs and patterns. It should be stressed that such geometric forms work as centres of crystallisation – a little crystal, which immediately provokes the crystallisation of the saturated chaotic liquid. In this case they are embryos of order, they organise and structure space and time around themselves in this way they are centres of order opposed to the growing chaos. They are endlessly repeated at all levels of organisation of our world and form a kind of a skeleton. A great number of forms are thus produced from amorphic matter. If the informational skeleton is destroyed, chaos (entropy) rapidly increases, variety and creativity, on the other hand, decrease, forms of life and the whole biosphere-noosphere degenerate. Numerous ecological and social catastrophes, the onset of consumerism, stronger bestial drives, corruption, crimes and drug addiction are evidences of the growing chaos in our days (Kali Yug – in the Hindu tradition, the Age of Kali, the lowest possible, a time of strife, corruption, darkness and disintegration. – Author). Order brought by archetypal forms certainly depends on their location. From this point of view ancient places of power – energetic centres of our planet – deserve particular attention. The most powerful energetic and informational streams go through such zones and strengthen the ordering effects of archetypal forms, spreading them to other parts of the planet and multiplying them again and again. This allows the creation of the noosphere’s skeleton, maintaining its stability, and opposing growing chaos. This special role of planetary places of power has been well known since ancient times. Ancient megalithic constructions, temples, stupas, pagodas, mantra wheels and flags were placed there. Naturally, such archetypal forms need to be initiated and maintained in the active state by special rituals and processes to maximise their effects4. Labyrinths are one of the oldest of archetypal forms. Even now stone labyrinths or their remains can be seen in many different parts of our planet. In ancient times they seemed to form a gigantic net, covering the whole surface of the Earth. Together with stone circles they formed a harmonizing control system dealing with growing chaos, maintaining the ecology of the noosphere-biosphere, harmonising the interaction of the material and the subtle (informational) worlds. It is not difficult to see that they present a kind of mandala. Perhaps one of the reasons for the present social and ecological crisis is that the net of labyrinths has been almost completely destroyed. The aim of our project is to understand how this ancient ecological system worked and restore it on the basis of ancient and modern technologies. As it has already been mentioned, a labyrinth is a kind of mandala, but this is a mandala with a given direction of movement and an open exit and entrance. As a rule the sacred space of a mandala is surrounded by a special protective square4, its four entrances are locked and are guarded by furious gods. This way the openness of a labyrinth mandala makes it a kind of mediator between the sacred world and the world of incarnate forms where we live. A second feature is the possibility of moving inside the mandala, if it is big enough. There are plenty of labyrinth mandalas made as pictures – these should be gone though mentally (Fig. 1). Such movement inside the labyrinth forms a geometric pattern, a trajectory of movement; its every element is connected with certain aspects of the sacred universe, with cycles of time, past and future, and with human energetic centres. The shape of the trajectory depends on the type of labyrinth and its rules of passage. It often reminds one of an archetypal magic sign, which is an additional pointer to the psychotronic influence (Fig. 2). As the stream of energy (the Dragon’s Line) is formed it connects the labyrinth’s centre with its peripheries and modulates and orders the energies of the place of power where it is built. The geometric forms of labyrinths also have their special features. As a rule attention is only given to flat two-dimensional labyrinths. Yet three-dimensional and even multidimensional labyrinths are known. Furthermore, some parts of the passage through the labyrinth can be located beyond our physical space5. One such labyrinth known in Hopi tradition will be examined below. As explained above, there are many kinds of labyrinths with different geometry, complexity and rules of passage. Generally two main kinds of labyrinths can be distinguished; the ones where passages are “corridors” between the lines and the so-called “negative” ones where the movement goes along the lines6. Sometimes a third group can also be distinguished with interchangeable walls and passages6. In such labyrinths one can move along both the lines and the spaces between them. The majority of spiral labyrinths belong to this category. In addition, we can speak of regular or classic labyrinths with no dead ends, “pockets” and so on, where it is impossible to get lost. Others are irregular with false passages, dead ends and closed loops, which take one away from the path (8). The topological classification of labyrinths mainly pays attention to their geometric forms. Probably, the most common forms of ancient labyrinths are spirals, crosses and swastikas. However, a labyrinth can take any form. For example, in the Nazca desert in South America there are gigantic labyrinths representing different animals and insects7. The Cretan labyrinth is also well known. According to legend, the Minotaur, a terrible monster, lived there. The image of this labyrinth can be seen on many ancient Greek coins. On our expedition to North America my American colleagues introduced me to the spiritual leader of the Hopi Indians, Martin Gashweseoma. Hopi is one of the few living traditions which keeps a knowledge of labyrinths and their use. They believe they are the keepers of civilisation on earth. They have stone tablets with the history and the future of the Earth written on them. According to their beliefs, several civilisations have already perished on Earth because people gave more value to their own interests, ignoring the needs of the planet6. We live in the fourth civilisation, which is, according to the Hopi, also now about to die. Earth’s future depends on the position that will be taken by the majority of humanity. The Hopi claim our planet has already been destroyed by the gods three times, because people did not follow the Creator’s plan. The last time it was destroyed by flood: an interesting parallel to the Bible. The Hopi themselves are descended from people of “humble and sincere hearts” kept by the gods from previous civilisations. Their life lay in “keeping the ceremonials in the proper manner” to maintain the harmony of Earth’s noosphere and save it from peril. Labyrinths played an important role in this. Figure 3 shows two labyrinths of the Hopi Indians used for initiation and the maintenance of ecological balance on our planet8. Square and round-shaped labyrinths are symbols of Mother Earth for the Hopi. The square labyrinth consists of two separate parts (Fig. 3a). The first one starts from the centre and symbolises birth, the entering into material reality by a human. The way is shown with the thin dotted line pointing outwards. Its beginning corresponds with the moment of conception. If you turn the picture so that the exit points up, you will see that the central line seems to be embraced by an arm – the arm of the mother holding her child. The second, outer part of this labyrinth depicts our leaving of this world. This way starts outside and ends in the centre, in the place corresponding to where we go to after-death. This reflects ancient concepts of human after death existence. In the Tibetan tradition, for example, until we are born again, we exist in subtle worlds of Bardo beyond our reality. The surface of the labyrinth symbolises our three-dimensional world and this part of the way is symbolically moved to the third dimension and forms a loop closing two isolated central parts (Fig. 4). The picture shows that it includes three successive stages of the Bardo, which are described in detail in the Tibetan Book of the Dead9. The last stage – Sidpa Bardo – ends up with the next incarnation in one of the six Samsaric worlds, entering the womb, the birth and, correspondingly, the going out of the labyrinth. The same symbolism is reflected in the architecture of Kiva – the traditional Hopi temple. It is a one-storey building whose exit is a hole in the ceiling. There is a small hole in the floor right under it, which is a womb – a place from which a human enters our world. Correspondingly, the inner space of Kiva is an image of our earth world and the hole in the roof is a passage to other worlds and the end of another cycle of existence. The round labyrinth (Fig. 3b) has a different design and meaning. It is a universal plan by the Creator, which should be followed by a human all his or her life. The one who follows this Creator’s plan has double protection or rebirth after another apocalypse (this is symbolised by a mother holding a child). The cross in the middle of the round labyrinth symbolises Father Sun, the source of life. The cross is also the Tree of the World – the universe’s axis connecting together all material and subtle worlds. It grows through the centre of the world and goes to other dimensions of space and time. This labyrinth is also used in ritual geomancy when a Hopi priest makes four furrows to harmonise the land with the Creator’s universal plan. It is also reflected in the architecture of Kiva. This labyrinth has archetypal features, i.e. it can be met in the traditions of various peoples of North and South America and even Europe. The already-mentioned Cretan labyrinth seen on the coins is of the same kind. Egyptians had similar labyrinths. Theirs were built in water and one had to use a boat to move through them. They were also places of burial. Actually such labyrinths were maps of the soul wandering after death, eventually to find rebirth in the Tree of Life placed in the centre. The ancient Celtic labyrinths also belong to this category. They are very effective for geomancy and are quite easy to use6. (a) As already mentioned, the initiated labyrinth is in a way an embryo of order; it repeats its archetypal form many times and carries it to the surrounding space. This is brought about by the modulation of energetic and informational streams of the place of power where it is built. (b) Some labyrinths are able to function as hyper-spatial tunnels connecting our reality with subtle worlds. Ancient sources mention the possibility of using labyrinths for obtaining information from the past and the future and connect with other parts of Earth. In ancient times the majority of labyrinths were used for that purpose. Egyptian water labyrinths are an example, being used for the replacement of the soul of the dead in the after-death world8. There were different labyrinths connecting a shaman with the spirit worlds. As a rule such tunnels functions on the subtle level, i.e. they are transparent for informational fields and vortex field structures (such as, subtle human bodies). However, ancient texts speak also of the possibility of moving material objects and even living beings through such labyrinth tunnels. (c) Finally, a labyrinth can work as a drainage hole sucking out entropy (chaos) from our reality into other worlds. In this case it also works as an ecological mechanism. Our project is not limited to research work only. During our expeditions and workshops in the country we build labyrinths in different parts of our planet, trying to help the harmonisation of this region and the whole planet. This particular task is carried out during the expeditions to planetary places of power. The interesting thing is that labyrinths influence not only the people who build them and go through them but also the places where they are built. A labyrinth works here as a tool harmonising the energies of the place. We became convinced of this by building labyrinths and making observations in different places. So far we have built labyrinths in the Crimea and the Caucasus (near Sochi), in two places near Lake Baikal (on Olkhon island and the Sviatoy Nos peninsular), in and Poland, Latvia, and Scotland. We have tried two methods of building learnt from ancient traditions. We have used the materials we could get in the area: stones, cones, small branches, even water-plants. Proper proportions were the most important thing. We have usually used two kinds of labyrinth: so-called classic Celtic ones and labyrinths from the Nazca desert. It should be mentioned here that the name ‘Celtic’ is relative. Such constructions are very old and can be found in different parts of our planet610: on Crete, by the Caspian Sea, on Solovki, and in North America, to name but a few. We will examine the stages of labyrinth building using a simplified example. Figure 5 shows the stages of the building of the classic three-level labyrinth. The diagram shows a left (yin) labyrinth. To build a right one all operations should be repeated in a mirror image (i.e. lines should be started from the same points but should go to the left). It is better to use sea or river pebbles but normal small stones will do fine. Smooth-surfaced ones are preferable. Pine cones are also not bad but are clearly not as durable. The labyrinth should be large enough to allow free passage between its ‘walls’ and will, of course, be governed by the area available. At the first stage you make a cross, according to the chosen direction of entrance, and then put four stones in the corners to make a square (Fig. 5a). Then you connect the upper cross’s end and the upper right stone with the arch (looking from the entrance point) (Fig. 5b). If you build a right, yang labyrinth, the arch goes to the left upper stone. It is important never to cross the built walls of the labyrinth, this may destroy its energetic wholeness and all work will be for nothing. Then make an arch between the upper left stone and the right end of the cross’s horizontal axis (Fig. 5c). The next arch will connect the left end of the cross’s horizontal axis with the right bottom stone (Fig. 5d). The last step is to make an arch between the left bottom stone and the lower end of the cross’s vertical axis (Fig. 5e). When we look for a place to build a labyrinth the most important task is to find one with strong and harmonious natural energies. To achieve this we use methods known in ancient geomancy and Tibetan and Chinese Feng Shui. We also use computer scanning to analyse the energies of a given place. To purify the place we use aromas and black gunpowder mixed with special herbs6. The initiation ritual plays a major role in work with labyrinths, so when we go through the new labyrinth for the first time we read special mantras. During the process of initiation you have to connect the labyrinth mentally with the powers of heaven and earth and create the Tree of the World at its centre. At the same time the centre of the labyrinth symbolises the Highest Divine principle and primary Chaos, from which the universe appears. When the labyrinth is tuned to the highest powers of the Universe it starts to work as a receiver-retranslator radiating harmonious energies (shen-chi). Here is one of the initiation scenarios. You enter the labyrinth slowly, holding some aroma in your hand, and go towards its centre, imagining that all negative and unwished things in you dissolve in primary chaos. Doing this you can pray or read a mantra (for example OM MANI PADME HUM). You place the aroma in the centre of the labyrinth and concentrate on the endless axis, the Tree of the World with the heaven trigram on top and earth trigram at bottom. As you go back from the centre you are born again and recreate yourself in the new quality. Concentrate on things you would like to awaken or strengthen. Such work with the labyrinth helps not only to harmonise the landscape’s energies but also to restore the balance of your own energy. Do it regularly, especially if you lack inner harmony. The motivation of participants is an important aspect of the initiation. During our expeditions people think of the ecological goals of a given labyrinth. We also use some magic signs to activate labyrinths. We use a mixture of black gunpowder and powdered mountain juniper. In some cases we use other aromas instead of juniper. We fire the sign at the moment of the labyrinth’s initiation. This produces a large amount of energy modulated with vibrations of the sacred sign. We mainly use Runes and signs from Kunta Yoga. By the end of our work with the labyrinth the powerful stream of sacred energy is formed above it6. In Bargusin Bay (Lake Baikal) we spent a lot of time building labyrinths and working with them. As we analysed the effects obtained we observed that certain rules were repeated in different places. As soon as the labyrinth was built the weather generally became sunny even if it had been raining since early morning. During our last trip to Baikal this happened five times after each of five labyrinths were built, although we built them in different places and at different times of the day. Animals and insects reacted in a very interesting way. Several times we have seen masses of butterflies over the labyrinth, although there had been none before. Birds, dogs and cows often came too. At the beginning of August 2001 I had a workshop on labyrinths in Vladivostok. Before I came they had had a violent tornado with floods and great destruction. Another, even stronger one was forecast for August! During the workshop three labyrinths were built in Vladivostok’s places of power: one in the city’s centre and another two at opposite ends of the city by the bays. It is difficult to say if it was a coincidence but there was no tornado over Vladivostok in August! In the second half of August there was a strong one in Japan but it did not touch Vladivostok. We have used labyrinths not only for ecological tasks but also for individual spiritual practice, and work with personal problems. In these cases labyrinths built in planetary places of power were the most effective. The analysis of the personal experiences and inner states of the people who built the labyrinths appeared to be very interesting. We usually used meditative techniques adapted from ancient traditions for personal practice. We linked this with the labyrinth and set the passage according to certain rules. Many participants claimed that as they were going through the labyrinth they had a clear evaluation of some problem or a new understanding of some phenomenon. It was often said that the labyrinth made people face their own weaknesses and disadvantages. Almost all participants experienced creative breakthrough after those workshops. Many have discovered talents that were hidden before. Others have found a new direction for their activity. Building labyrinths as a rule affected group processes. The first labyrinths brought to the surface all the problems of the place, but every new labyrinth made the atmosphere in the group purer and participants became integrated, something not easily achievable in international groups. Our experience of work with ancient labyrinth structures has proved the great possibilities open to us for the restoration and development of this ancient tradition and its adaptation to modern culture. Work with archetypal labyrinth structures can be useful for the solution of ecological problems and for the resolution of personal difficulties. Naturally, in the first case we speak of the noosphere, the informational level of the ecological system, and the mechanisms for its self-regulation. Martin, spiritual leader of the Hopi Indians, also stressed the significance of the connection between representatives of different religions on Earth, and between all people of goodwill, enabling them to unify their efforts against the forces pushing Earth to its self-destruction. His Holiness the 14th Dalai Lama speaks of the same thing. We hope that our work on Earth’s informational ecology, the establishment of a network of labyrinths in planetary places of power and other projects will help us get a bit closer to this goal. By overcoming this crisis of our civilisation, we may be able to reach a new, higher stage of development………….